Hello, Megan here. If we haven’t met, I am the founder and artistic director of CSArt Ottawa, a project that I love very much. I am also pregnant and expecting the arrival of the littlest CSArt subscriber in about 1 week. I’m excited for this new chapter of life. At the same time, I am sad to announce that, like me, CSArt Ottawa will be taking a parental leave of absence in 2018-2019. I’m really proud of what CSArt Ottawa has accomplished so far. 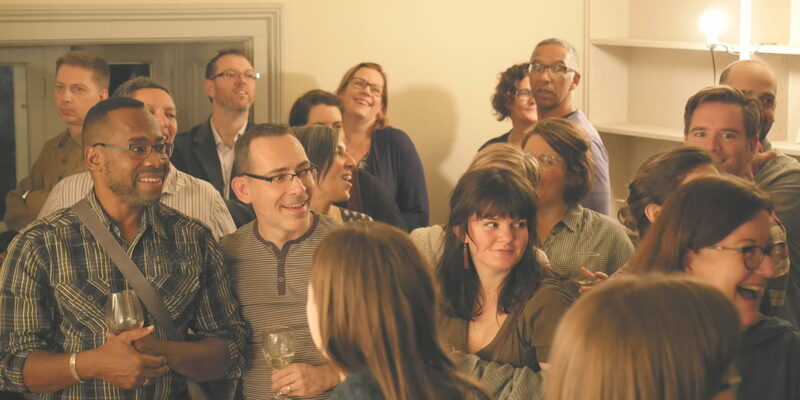 We consistently offer high-quality, accessible, artistically and atmospherically diverse, warm and welcoming events. 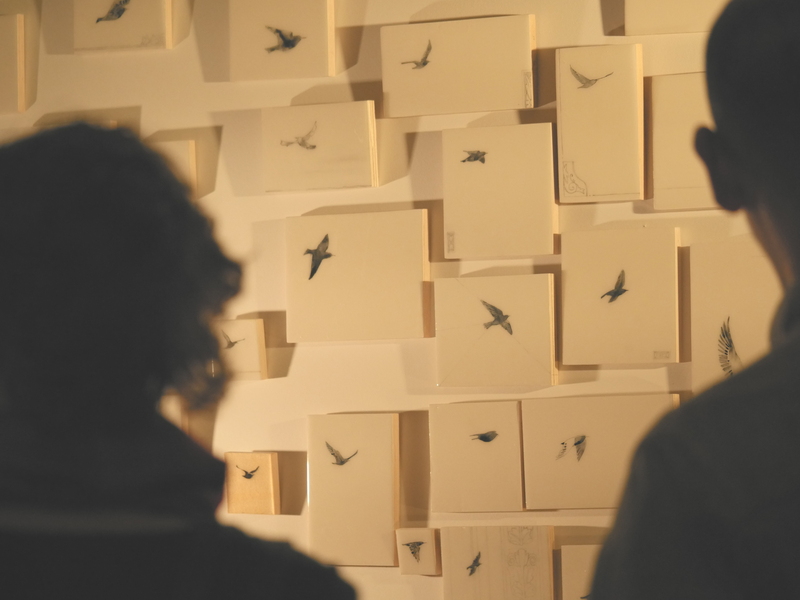 Our artists continue to tell us how valuable these feature events are for them, and how much it means to have a committed audience before a work is made. In addition to the artist fee and supply funds that CSArt offers to them, often our artists are able to sell more pieces to our subscribers than their initial CSArt project, and to carry their project forward to new platforms. Arts organizations in Ottawa have started to reach out to offer partnership, and the Ottawa business community has been very supportive of our work. From year 1 to year 2 we grew our subscriber base by 52%. And, the thing I am most proud of is that we have an audience of 66 people and counting, who are open, highly engaged, responsive, and excited about the work we present to them. 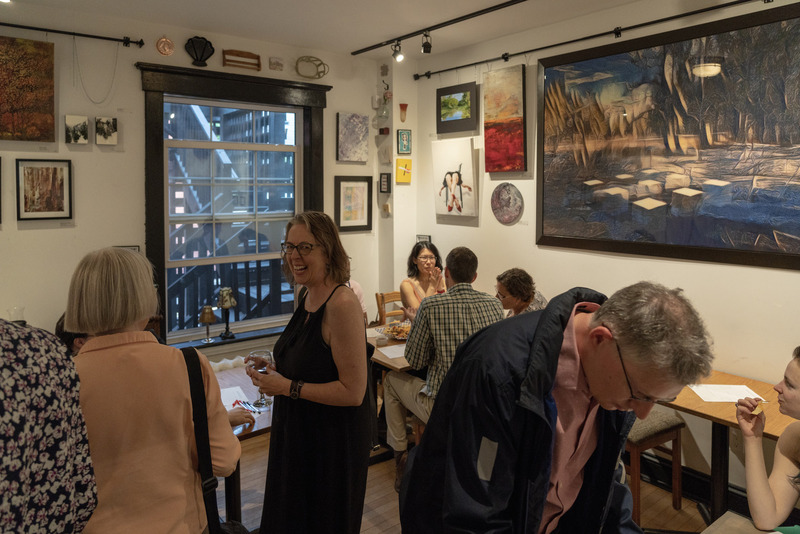 Many of these subscribers were not regularly supporting local art before they joined CSArt Ottawa, and we’re the only place in town that provides these arts patrons with a multidisciplinary art package. (If you’re a subscriber reading this — hi! Yes, I talk about how great you are, all the time). 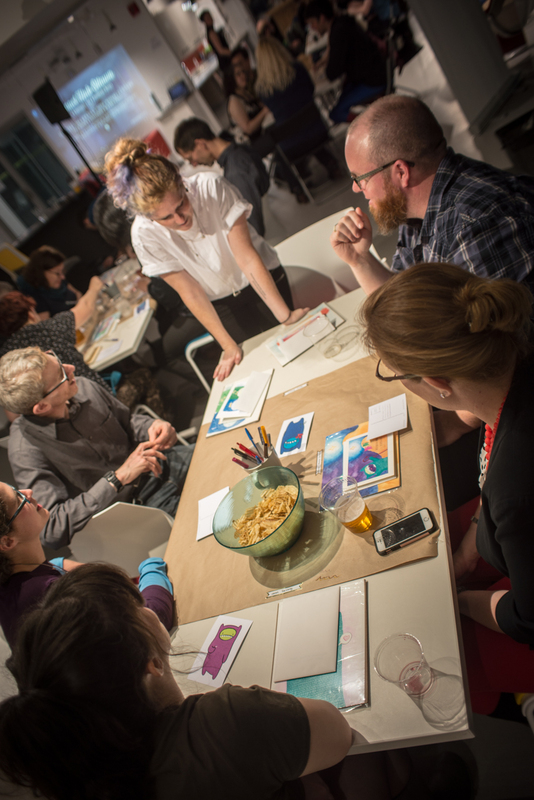 In this past 2017-2018 Season, we had a fantastic opening event at Impact Hub Ottawa led by painter and illustrator Brenda Dunn, where subscribers took part in her mail-based project and received custom-made watercolour greeting cards poking fun at tradition. We hosted a drawing installation and artist talk at Maison Scott-Fairview, featuring the beautiful work of Sally Lee Sheeks. 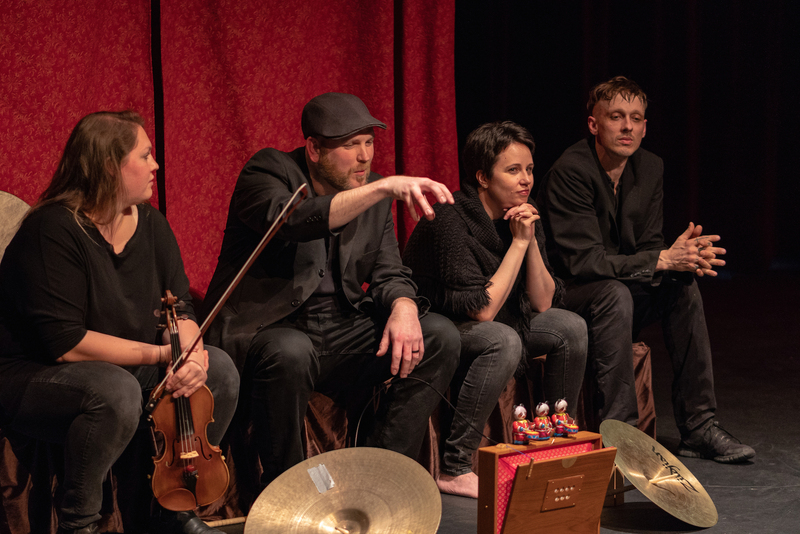 We experienced an intimate music and dance performance at the Gladstone Theatre, created by the new Strangers Collective 1.0, made up of some of Ottawa’s best performing talent: Jill Zmud, Jesse Stewart, Keir Knight, and Carissa Klopoushak. 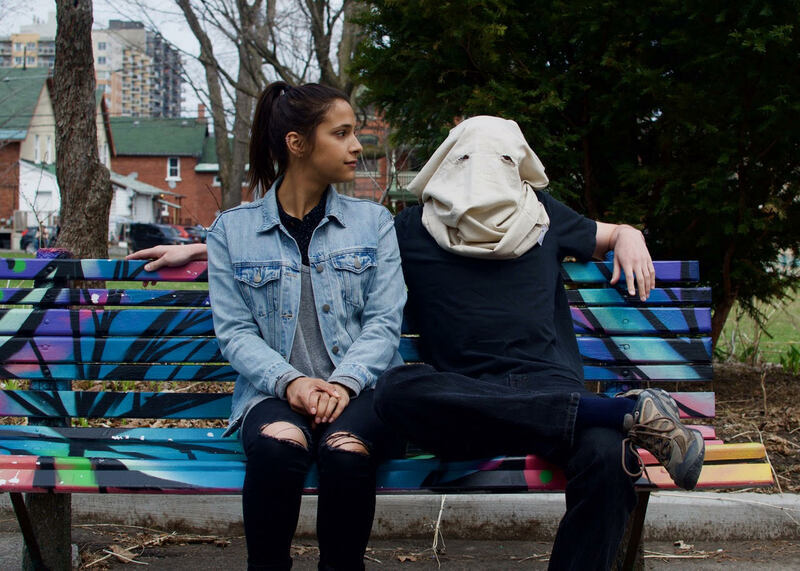 We met in small audience groups of 5 or less to experience an intimate theatre show in Strathcona Park by the Cellar Door Project, about the event that started the Cold War in Canada. And we finished the year with a exhibit and panel on creativity and wellness with painter Corinne Blouin, at one of our favourite Ottawa spots, the Art House Cafe. It’s been a really, really good year. So, if it’s going so well, why is the hiatus necessary? During these first 3 years of CSArt Ottawa – 1 year of planning and 2 years of operation – I focused much of my energy on making this project financially sustainable. In this past year, we managed to cover all of our event expenses, artist fees, and supply fees, without the help of grants. This has allowed us to do what I set out to do: create an arts model funded completely for and by the community. However, in focusing on finances, I postponed a very important part of sustainability: building a leadership team. CSArt Ottawa has a fantastic Advisory Committee, and a handful of other great volunteers. But the primary person planning and carrying out the work, is me. When I became pregnant, I had to face up to a reality of CSArt: it rests heavily on my own sweat equity, and hasn’t yet become sustainable in the personnel department. I realized that I wanted to give myself a good shot at parenting, and, as an artist myself, I didn’t want to end up ignoring my own artistic practice, which was the inspiration behind creating CSArt Ottawa in the first place. This was a hard decision, made all the more difficult by the amazing artists who applied to be a part of the 2018-2019 Season. But I see this hiatus as an opportunity. CSArt Ottawa as it stands is essentially a very successful prototype for supporting local artists through the social enterprise model. We have approached financial sustainability solely through subscription sales in only 2 years — that’s big for any small business, but for a small art business, that’s huge. In this hiatus, I aim to look closely at what has led to our successes, and use these insights to build next steps for the future. I hope to build a producing team, a bigger volunteer team, and receive multiple perspectives from artists and patrons on how CSArt Ottawa might continue in a more sustainable way in the future. …get in touch! We are as open as ever to new people and new ideas, and I would be delighted to share our journey thus far with you, and see how you might get involved in our next steps. 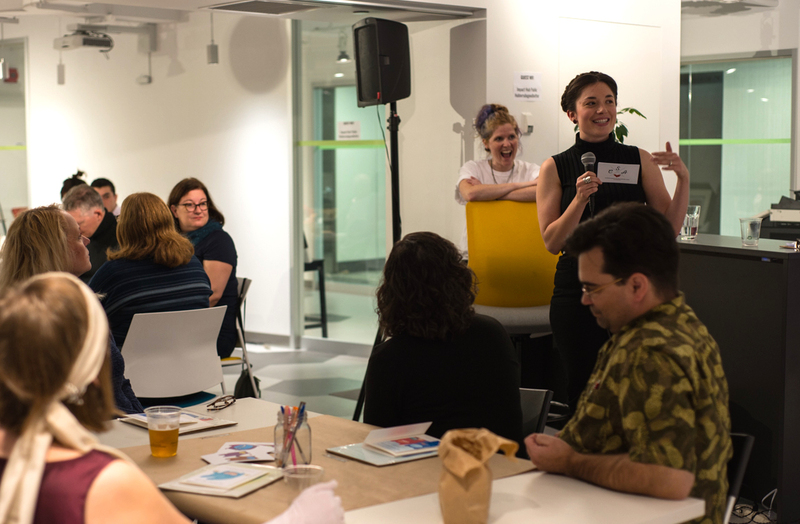 With our foundation of engaging subscribers, supporting artists, and creating a new example of patronage in our community, future iterations of CSArt Ottawa are set up for success. After a bit of time focused solely on new parenthood, I’ll be looking forward to continuing CSArt plans this November. In the meantime, whether you are a CSArt subscriber already or not, I encourage you to continue supporting Ottawa art. Go out to shows, readings, and exhibits. If you see an artist you like, say hi to them and tell them you’re interested in their work. Ask questions, buy a piece, or get a ticket to their next show. Don’t be afraid to discuss the work and be a part of the art. In doing so, you help to build a strong community, and you make local artists like me very, very happy.